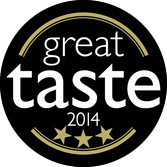 Norfolk Saffron is world-class, super strength with independently proven quality and consistent high gradings! This store is selling saffron from our Oct/Nov 2018 harvest. Yet again, our saffron has smashed the requirements for ISO 3632 grade I (the finest international grade) and this year's colouring strength is a massive 277. Please see our Ts&Cs before purchasing. FREE POSTAGE on orders of cart value £100 and greater. Our super strength saffron is amazing in sweet and savoury dishes. 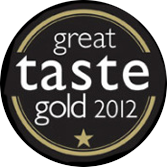 ‘Great Taste Award’ winner 2012. One jar goes much further than you might expect, and will make 12 portions of saffron risotto! ​This superlative, deep red, home-grown saffron was harvested in October-November 2018. Norfolk Saffron is consistently graded at ISO 3632 category I (the best international grade). This year's crop is no exception, and its colouring strength is a whopping 277! For information on how to use Norfolk Saffron please visit our recipes page. Professional chefs and trade customers, please contact us to discuss your requirements. A double size jar of our fantastic saffron for really keen cooks! We proudly present the world’s 1st smoked saffron! Perfect in fish, chicken & vegetarian dishes and unique to Norfolk Saffron. Made from our delicious saffron using a secret two-step process. First we expose the saffron to smoke from oak sawdust for an optimised time period in a traditional smokehouse, and second, we give it our essential post-smoking treatment. Smoked saffron combines saffron's wonderful flavour and aroma with the richness of natural smoke. The threads are slightly darker than our natural saffron. 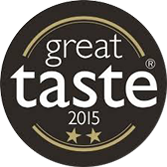 Winner of a ‘Great Taste 2-star Award’ in 2015. ​For information on how to use Norfolk Saffron please visit our recipes page. In buying this product you guarantee that you are 18 years of age or older. Delivery to UK addresses only. ​Update 19/11/2018: A new batch is currently being made with our 2018 saffron. 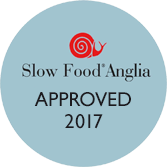 Deliveries for this (including deliveries of mixed Norfolk Saffron products) will commence towards the end of November. Shafrannaya is the Russian word for something rather special - vodka infused with delicious saffron. We’ve added a novel twist to this exclusive flavoured sipping vodka, by making it with our unique, award-winning, oak-smoked Norfolk Saffron. Enjoy with your favourite mixers or simply straight and ice-cold. No artificial colours. Only natural Norfolk Saffron creates the rich yellow colour in our vodka. Store away from sunlight. 37.5% ABV. ​Update 19/11/2018: A new batch is currently being made with our 2018 saffron. Deliveries for this (including deliveries of mixed Norfolk Saffron products) will commence towards the end of November.‘King Harry’ is a gin-based artisan liqueur made with real orange zest and our award-winning Norfolk Saffron. 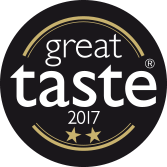 ​Winner of a coveted ‘Great Taste 3-star Award’ in 2014, putting it in an elite group of the top 150 food and drink products of 10,500 entrants. Inspired by the rich colour given by saffron, ‘King Harry’ is the Norfolk dialect term for a goldfinch. Enjoy it neat, as a long drink with Prosecco, or even use it in desserts - perhaps drizzled over some ice cream! ‘King Harry’ liqueur contains no artificial colours. Natural orange oils may make this product appear hazy at low temperatures. Simply leave at room temperature for them to re-dissolve. ABV varies according to batch, but is typically between 31 and 32%. One 0.3g jar of Norfolk Saffron, a mini pestle & mortar and recipe in a sturdy little box. Bake delicious saffron breads & yeasted cakes with this special, ready-to-use, blend of strong white wheat flour and Norfolk Saffron. 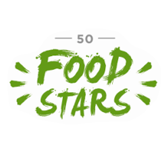 Winner of a ​‘Great Taste 2-star Award’ in 2015. Saffron Flour looks like ordinary flour in the bag, but just wait till you bake with it. Adding water or milk when you make your dough brings out the saffron’s wonderful golden colour and superb flavour. The secret's in the special way we grind the saffron - by hand! Swap the ordinary flour in your recipe for our Saffron Flour, and bake yourself a real treat. Recipe on reverse of bag. Unique to Norfolk Saffron. Our mini porcelain mortar & pestle (8cm diameter) is ideal for preparing small quantities of saffron. Perfect for grinding our Norfolk Saffron and other spices too! Norfolk Saffron has moved into the world of skin-care! 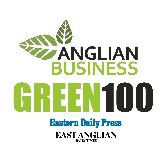 We are very proud to be working with Jo Klassen of new, Norfolk-based business Nudge Boutique. Jo is passionate about using the finest natural ingredients and has developed a completely novel use for our waste saffron petals - in a lovely clay face mask. We believe this is a world-first! In Jo's words, "Saffron Glow Cleansing Clay Mask has been designed to cleanse and refresh dry or maturing skin. Just because your skin is dry doesn't mean you can't enjoy a few pampering moments to sit back and enjoy clay based masks. We use British Kaolin Clay, which is the gentlest of all the clays and suitable for all skin types, especially dry and sensitive skin. Saffron Glow Cleansing Clay Mask is white and is 'activated' at home by introducing a few drops of water to a heaped teaspoon of clay.The petals will release their precious compounds into the clay producing a beautiful blue/green hue." More technical info is on Jo's website. "The costliest spice in the world, saffron, meets one of the most expensive beauty oils in the world, prickly pear, and is blended with other high performance oils to create a deeply nourishing luxury oil serum for dry or mature skin. Rich in carotenoids to help brighten skin suffering from sun damage and age-related uneven skin tone." Delicious recipes and saffron's history. The first time saffron's unique story in England has been told! Ninety pages packed with fascinating information including: Saffron’s Special Chemistry, How Saffron Grows, The Origin of Saffron, The Saffron Grower’s Calendar of Work, The Uses of Saffron, The Medical Virtues, Saffron as a Dye & Pigment, and mouth watering Recipes. Voted as one of the Guardian's Cookbooks of the Year when published. ​​Are you sending your purchase to someone as a gift? Let us know at the time of ordering and we will not include a price receipt in the package, but instead will add a note to say it's from you. By placing an order, you indicate you have read, and have agreed to, our terms and conditions. Orders weighing less than 2kg are sent by Royal Mail 2nd class post (on Tuesdays and Thursdays). Heavier orders may be sent by a courier, in which case we will advise you of delivery details. This page is for customers living within the UK only. EU CUSTOMERS please email us for advice BEFORE ordering. We regret we cannot send orders outside the EU. Having trouble with the check-out on our shop page? This happens occasionally and the solution is to open our site in a different browser e.g. Firefox instead of Google Chrome. If you would like to pay by cheque, please contact us.